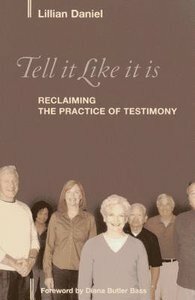 Lillian Daniel shares how her congregation reap-propriated the practice of testimony one Lenten season, a practice that would eventually revitalize their worship and transform their congregational culture. The experience strengthened lay leadership, fostered more intimate community, and drew the congregation closer to God. The book features the testimonies worshipers heard and reflections from both those who spoke and those who listened to these stories about God at work in the world. About "Tell It Like It is"